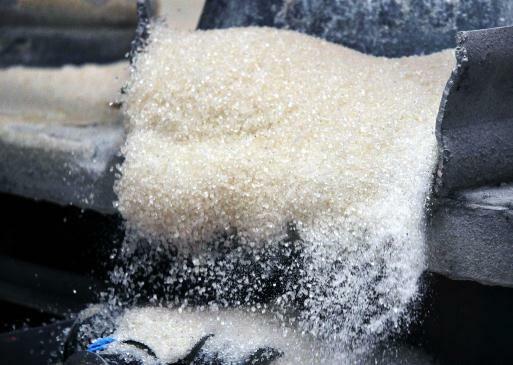 Raw sugar futures on ICE turned lower on Monday, dipping after Friday’s session saw the sweetener come within sight of a four-year peak. March raws were down 0.25 cent, or 1 percent, to 23.17 cents per lb at 1148 GMT. Dealers said a relatively unchanged long position taken by speculators in raw sugar might be weighing on prices. December whites also turned lower, down $3.60, or 0.6 percent, to $595.10 per tonne. Cocoa futures slipped as the market digested news of a slow start to port arrivals in top producer Ivory Coast. Cocoa arrivals at ports in top grower Ivory Coast reached about 41,000 tonnes by October 9 since the October 1 start of the season, exporters estimated on Monday, down 44 percent from 73,000 tonnes over the same period last season. Dealers said a lower number had been anticipated after arrivals were halted for several days because many buyers had been temporarily blocked out of a booking system. March London cocoa was down 9 pounds, or 0.4 percent, to 2,227 pounds per tonne while December New York cocoa fell $23, or 0.8 percent to $2,762 a tonne. Arabica coffee futures rose for the second straight session with December up 0.8 cent, or 0.5 percent, at $1.4880 per lb.